My Real Estate career began in Christchurch in 2002. My ethos has always been to work in the best interest of my clients and give the best expert advice that each and every one of my clients deserve. In 2003 this was noted by a developer/building company and I was approached by them to formulate sales for their projects in the Rolleston area. This involved the sales of their properties being new builds, partial builds and selling from plans. As I was always precise with the execution of these projects and always paid much attention to the detail involved for the purchaser I was almost always was given the purchaser's home to also sell on their behalf. This resulted in many more satisfied clients and over time those same clients would call on me when they were ready to move on again. Due to a change of lifestyle, I left the Real Estate industry after a number of successful years. Now in 2015 I have been drawn back into the industry I love and in a city I love equally, Dunedin. So if you would like someone who is totally dedicated to getting full client satisfaction when given the privilege of selling your home then give me a call. "Thank you Jim for restoring my faith in the real estate industry. Initially I was cautious about finding the right company and the right agent to entrust in the sale of my home. However, after meeting with Jim and putting him through a bit of a grilling I quickly realised that he would be the best person for the job. From day one and throughout the entire process I felt that Jim was committed to getting the best outcome for me. He was upfront and I appreciated his integrity. He told me what I needed to know not just what I wanted to hear. He worked hard and went beyond what I expected. It is with a solid handshake that I thank Jim for a job well done." "Selling a house can be a very stressful experience, especially for a woman alone in her old age. Mum's family were widely spread across the globe and when she decided she wanted to sell up and go to a retirement village we were, initially, nervous of the prospect. We contacted Nidd Realty Ltd and Jim O'Donoghue came to see us. Everything changed from then onwards. Jim is obviously very experienced and market savvy and in the end he procured us a price way beyond our previous research had led us to believe possible. But Jim is much more than a great seller. He was patient, kind and intuitive with my mother and went to great efforts to keep her relaxed. He even volunteered practical help moving heavy things when no-one else was around. He also kept all of us in the loop 24/7 and some of us are in the U.K.! Jim is the best kind of real estate professional. Focussed, results-orientated but with a strong dose of humanity. I can't recommend him highly enough." 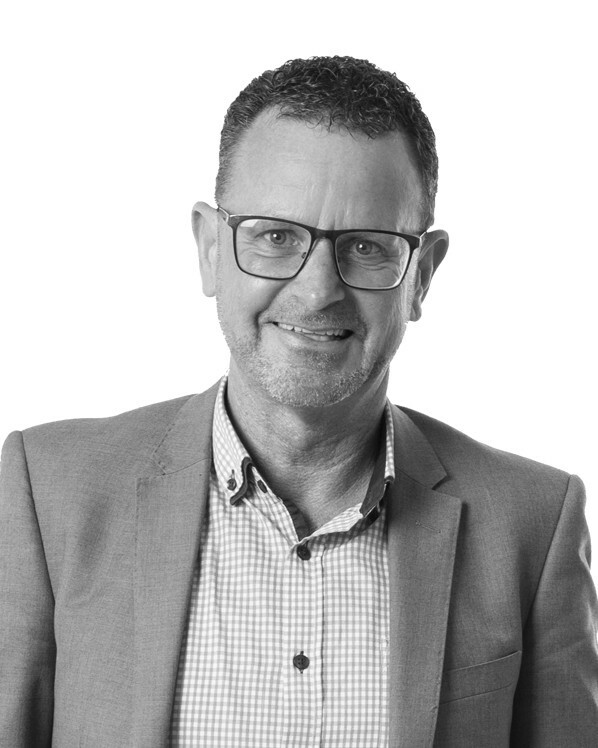 "Jim O Donoghue is a dedicated realtor who handled the sale of our house in a professional manner and achieved a fantastic result, exceeding both his initial appraisal and our expectations. He kept us updated at all times (never left us waiting for an important call) and didn’t make a promise he couldn’t keep. This is our second successful sale with Nidd Realty so we would not hesitate to recommend their services, and Jim’s in particular, to our family and friends." "We had the honour of selling our property through Jim, and what an easy process he made it. His communication and professionalism was absolutely outstanding, he kept us up to date through the whole process and always knew the next steps for this property. Jim has high integrity, and is very knowledgeable about what sells a property. Jim always took an interest in us and always had our best interests at heart. We will definitely be recommending Jim to our friends and colleagues, and will use him as our agent again in the future. Thank you Jim for all of your assistance with this sale, we are very pleased with the outcome." "We would like to thank Mr Jim O' Donoghue for your excellent job on selling our house in five days. We are happy that you sold our house more than the appraisal price. You made the selling easy with your frequent communication, professionalism and friendliness since we were in Christchurch and you were selling the house in Dunedin. The way you convinced our tenant was remarkable. "I’m glad I followed my gut and went with you as you have done very well on the sale and our expectations have been exceeded. "Thank you for all your hard work and helping me with the process of buying and selling property. After recently selling my first home and purchasing a property for the second time I found the process just as daunting and overwhelming as the first time. However, the process was made easier with the support of Jim O'Donoghue and the team at Nidd Realty. Jim talked me through every step of the process and was happy to answer any questions that I had. Jim displayed a high standard of communication, professionalism, and most importantly he helped me purchase the property I wanted without any hassles and was able to find a buyer for my property very efficiently. I definitely recommend having a chat with Jim if you thinking about buying or selling property here in Dunedin. "Jim O’Donoghue stepped into our lives at a critical time; after we had struggled and failed to sell our son’s house privately. Our son has inconveniently been living in Germany for several years. Jim came to the rescue. And he helped us understand the issues we had been struggling with. It was all explained so gently with such grace and simplicity, that we were immediately drawn to his helpful and under-stated style. He shared his views of the current real estate situation in Dunedin and gave us suggestions as to the best possible strategy to market the property. Fortunately, we had spent money and time on some interior and exterior improvements, so the house was in good shape for immediate occupancy. A sale was eventually made, but not without some unexpected surprises. Throughout, Jim was a supportive and helpful chap who dealt with all the issues in a professional manner. We were updated almost daily on progress, and enjoyed increasing confidence in his abilities. His regular visits to our home to update us, as offers were made, confirmed our feeling of working with a local family business. And we all enjoyed a celebratory glass of wine at the completion of the deal. We would be pleased to have his assistance in the future should the need arise."